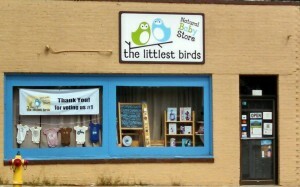 Originally opened in March of 2007 The Littlest Birds serves as a local outlet for natural parenting resources. 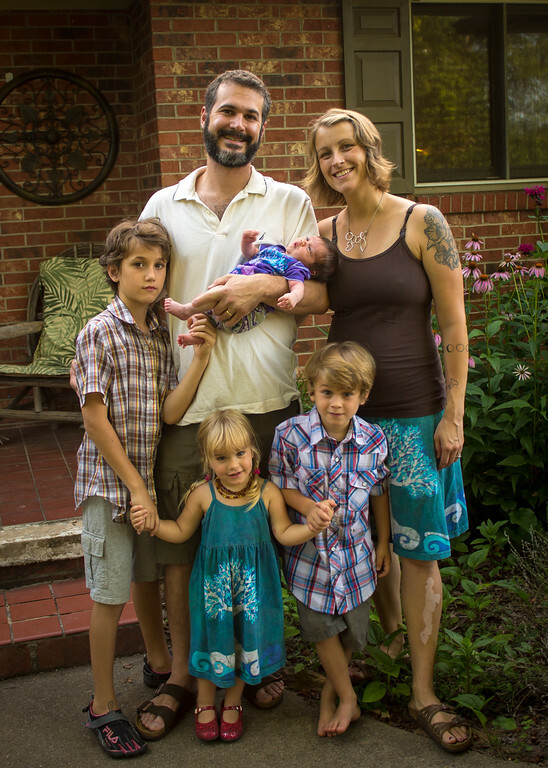 Lyndsi and Justin are believers in natural, intuitive childrearing from pregnancy into adulthood. Recognizing the importance of community in this endeavor The Littlest Birds strives to offer a resource, free of judgment, for all parents to come and facilitate their ongoing journeys in parenthood. To this end The Littlest Birds hosts a regular series of free classes including Beginning Babywearing and the ice-breaking Cloth Diaper 101. 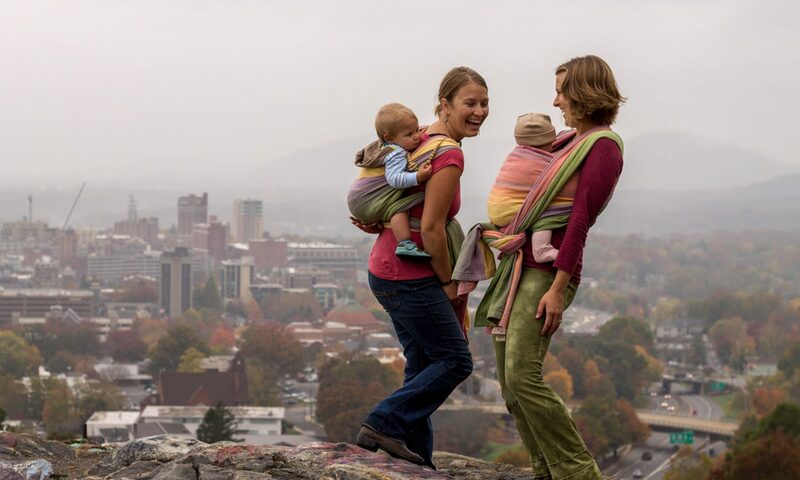 Lyndsi is a certified babywearing educator and also the leader of the local babywearing group the WNC Babywearers. Always on the crest of the wave, Lyndsi curates an eclectic, fun and useful collection of goods for sale in the store. 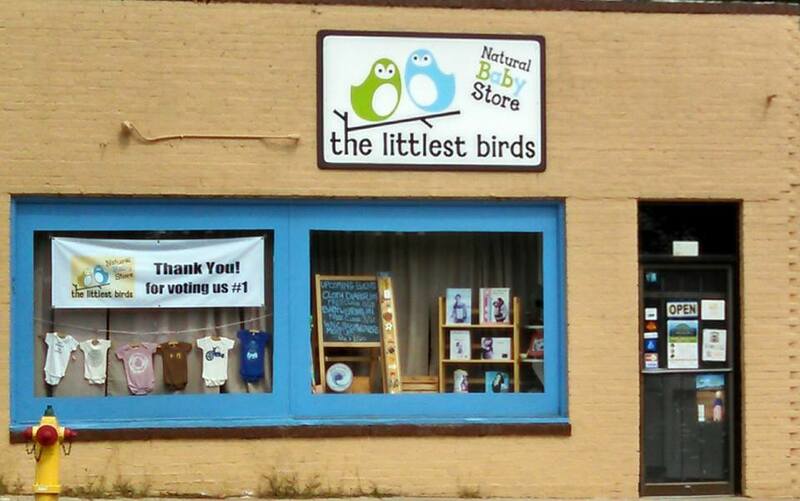 In addition to our retail and educational services, The Littlest Birds is proud to house a consignment resale shop that provides an outstanding outlet for parents to recycle clothing, shoes, toys, cloth diapers, baby carriers, gear and accessories into store credit or cash. We are thrilled to have such great participation from our community of locals and regulars who have, by far, the best style around. This makes the consignment section of The Littlest Birds an ever churning collection eclectic and useful goodness. Justin and Lyndsi can often be found in the store working alongside their children Waylon, who is 9, Orin, who is 6, Nicolina who is 3, and baby Ariela who is 7 months old. Thank you for your interest in The Littlest Birds. We are real people! If you are ever in Asheville, come by and see us. Our store is open Monday through Saturday from 10am until 6pm.